There are still some tickets available to see the band from 9:30pm. Don’t miss out on a great evening in Oxton! 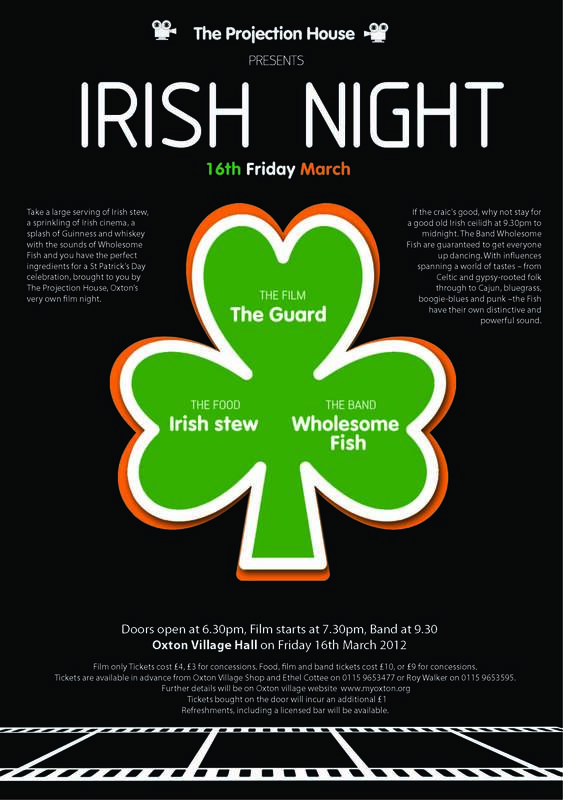 Take a large serving of Irish stew, a sprinkling of Irish cinema and a splash of Guinness and Irish whiskey with the sounds of Wholesome Fish and you have the perfect ingredients for a St Patrick’s Day celebration, brought to you by The Projection House, Oxton’s very own film night, on Friday March 16th. Following the success of their first two film nights, the group of community-spirited film fanatics are bringing the silver screen to the sticks again, but this time with a feel of the Emerald Isle to coincide with the Irish patron saint’s day. Those who like their films in cinema-style surroundings won’t be disappointed. With a large screen and fantastic sound equipment, you’ll have the sights and sounds of your local cinema, all on your doorstep. There’ll be Irish stew aplenty, the ‘Black stuff’ on tap and Jameson whiskey to toast the saint, as well as popcorn, ice cream, and non-alcoholic drinks on offer. Lights, camera, action! With a large screen and fantastic sound equipment, this is your chance to support your local cinema, right on your doorstep. Doors open at 6.30pm. Irish film The Guard will show at 7.30pm. Starring Brendan Gleeson, Don Cheadle and Mark Strong, The Guard is a comedic, fish out of water tale of murder, blackmail, drug trafficking and rural police corruption, and the two cops who must join forces to take on an international drug-smuggling gang, an unorthodox Irish policeman and a straitlaced FBI agent. If the craic’s good, why not stay for a good old Irish ceilidh at 9.30pm to midnight. The band Wholesome Fish are guaranteed to get everyone up dancing. 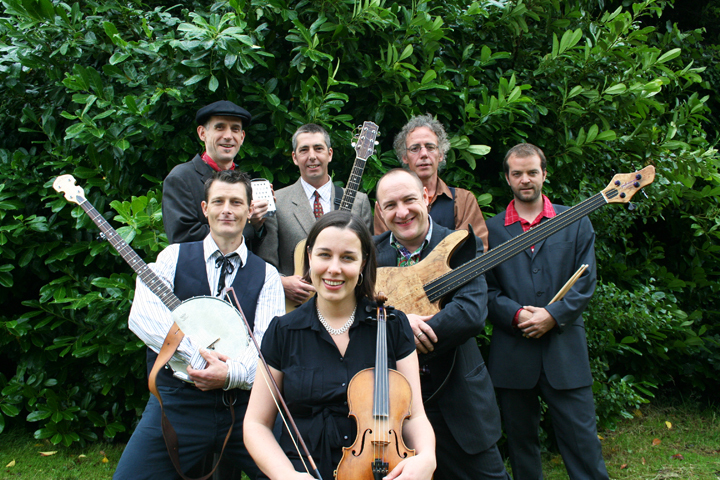 With influences spanning a world of tastes – from Celtic and gypsy-rooted folk through to Cajun, bluegrass, boogie-blues and punk –the Fish have their own distinctive and powerful sound. Please bring all your friends, it will be a night to remember. « Looking for funding for a community project in Oxton?